Maybe it’s because they don’t fight a physical enemy, but for some reason, movies about firefighters tend to be pretty scarce. Sure, there was Ladder 49, the old classic The Towering Inferno, and of course, Backdraft, perhaps the most highly-regarded firefighter movie of all-time. 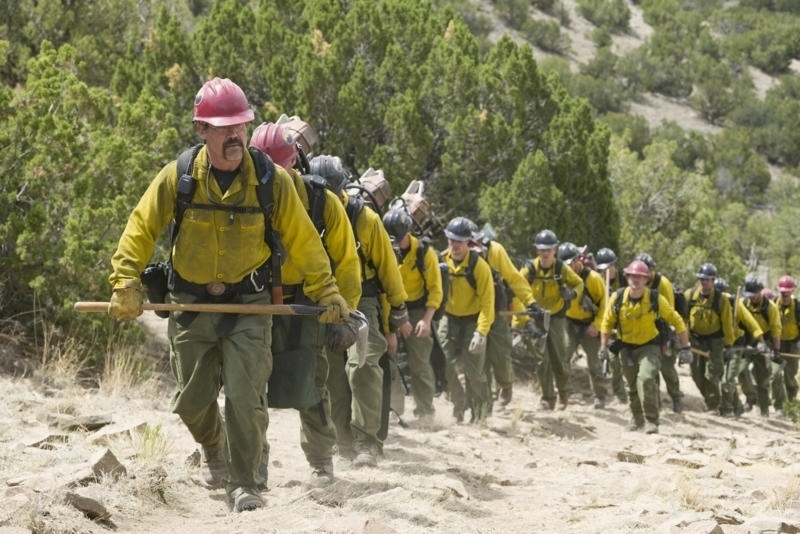 When they announced that a film was being produced based on the Granite Mountain Hotshots, I admit, I wasn’t really sure how to feel. 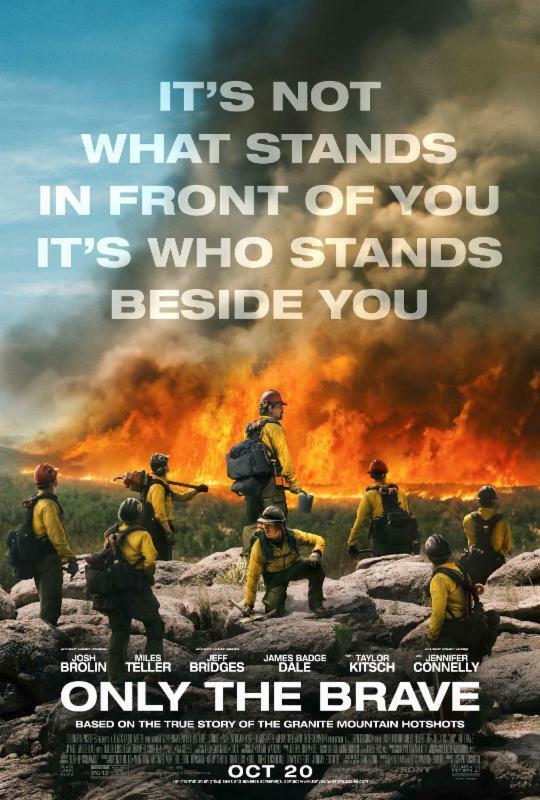 I’d read about them a few years ago, specifically about the Yarnell Hill Fire, so I didn’t know if I’d want to go into a movie knowing essentially the full plot of the film. Still, I reasoned, I went in to Miracle and Moneyball knowing how they ended and still enjoyed them, so I went in with my friend Krisden hoping to be entertained. If you haven’t yet heard of the Granite Mountain Hotshots, I’d suggest avoiding doing too much research until after you see the movie. Hotshots are an elite group within the firefighter community, often responding to wildfires across the country, and sometimes even the world. Whereas conventional fire departments fight fires using water and other fire retardants, Hotshot crews often utilize controlled burns and tools such as chainsaws and axes to deprive fires of additional fuel to halt their spread. It’s the push by the Prescott Fire Department to get certified as a Hotshot crew that drives the first portion of the film. Superintendent Eric Marsh, also known as Supe, has an elite crew whose status has been stuck in training until they can finally get a chance to prove themselves. Joining them late in the journey is Brendan “Donut” McDonough (Miles Teller), who’s struggled with drugs and a lack of direction in life. 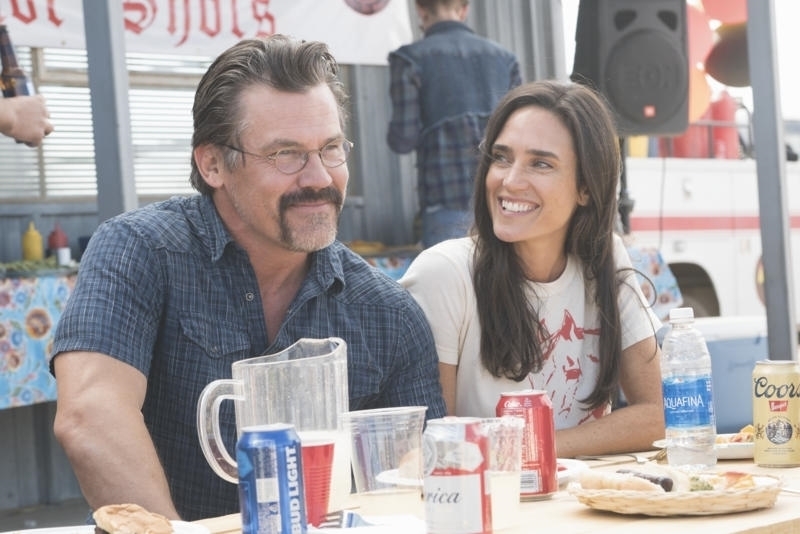 Faced with the prospect of being a father, he makes the decision to sober up and is offered a chance by Marsh (Josh Brolin), who ends up seeing a bit of himself in Donut. Much of the first half of the film is the standard expose on the firefighters’ lives as they struggle to balance their life work with family life. Marsh’s wife, Amanda (Jennifer Connelly), provides a strong balance to the overt masculinity that’s to be expected among firefighters. Desperate for a family and to spend more time with Eric, Amanda refuses to yield to Eric’s rebuttals, and Connelly plays her well. Donut yearns to be a good father, but as he gets called away repeatedly for longer assignments, he realizes that his daughter barely recognizes him. As the film shifts into the second half, we see the Hotshots in action as they fight various blazes. Visually, the film is often stunning. The scope of the fires and the response of the team as they get to work play out fantastically, and (minus the heat), director Joseph Kosinski gives us several “feels like you’re there” moments. Along with the cinematography, credit for these moments also has to be given to the performances of the cast. Brolin does a tremendous job of a confident yet internally struggling leader. Teller, too, gives a notable performance as he transforms from a dropout to a reliable member and brother on the team. If anything, the movie’s almost a little too laden with treacle, but for a movie that treads a precarious line, it’s likely a decision to play it safe by Kosinski. The climax of the film is handled incredibly well, and by the time the credits rolled, both Krisden and I were in awe of the Hotshots and their accomplishments. It’s unlikely to garner much attention during awards season, but in the end I liked the movie far more than I’d anticipated. If only to see how superlative Hotshot units are and how close-knit they are as a community, Only the Brave is well worth the price of admission.